Loose dentures can leave you feeling frustrated, restricted and lacking in confidence. At Boyne Dental & Implant Clinic we can use dental implants to secure your dentures for a full set of natural-looking teeth. Implant-retained dentures will feel much more natural in your mouth than dentures alone. That’s because the implants connect your dentures to your jaw bone in much the same way your teeth used to be connected to your jaw bone. You will notice that food tastes better as your upper teeth will no longer cover the roof of your mouth. Your bite, chew and ability to speak clearly will also be more natural. An implant-supported denture is a type of over denture that is supported by and attached to implants. A regular denture rests on the gums and is not supported by implants. An implant-supported denture is used when a person doesn’t have any teeth in the jaw, but has enough bone in the jaw to support implants. This cost-effective solution works by fixing your dentures onto 2 lower-jaw implants and 4 upper-jaw implants. It can also be used for partial dentures. There are also great benefits for your dental health. Dental implants integrate with your jawbone to keep it strong and healthy while slowing down bones loss. – and, we are sure that you’ll find that you smile far more often! Call our Patient Care Team on 046-9033309 to book a consultation to find out how implant-retained dentures could make all the difference for you. An implant-retained denture is a type of over denture that is supported by and attached to implants. A regular denture rests on the gums, and is not supported by implants. An implant-retained denture is used when a person doesn’t have any teeth in the jaw, but has enough bone in the jaw to support implants. An implant-retained denture has special attachments that snap onto attachments on the implants. Implant-retained dentures usually are made for the lower jaw because regular dentures tend to be less stable there. Usually, a regular denture made to fit an upper jaw is quite stable on its own and doesn’t need the extra support offered by implants. However, you can receive an implant-retained denture in either the upper or lower jaw. You should remove an implant-supported denture daily to clean the denture and gum area. Just as with regular dentures, you should not sleep with the implant-supported dentures at night. 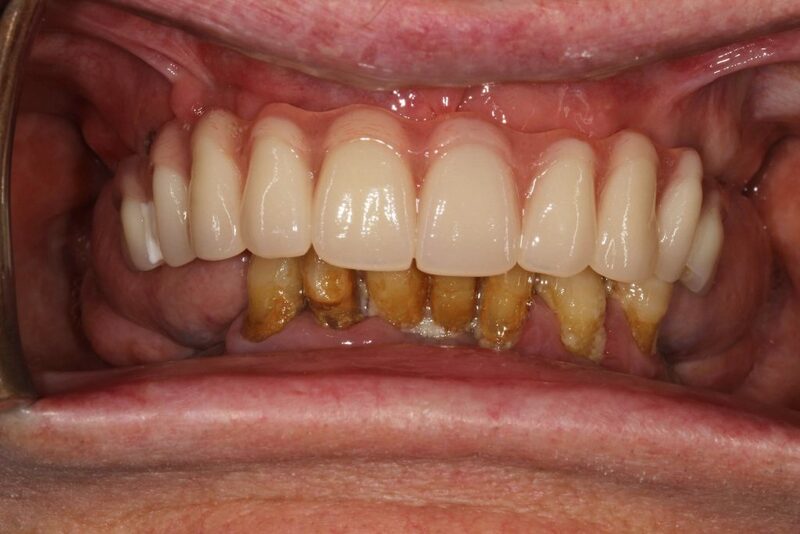 Some people prefer to have fixed (permanent) crown and bridgework in their mouths that can’t be removed. Your dentist will consider your particular needs and preferences when suggesting fixed or removable options. 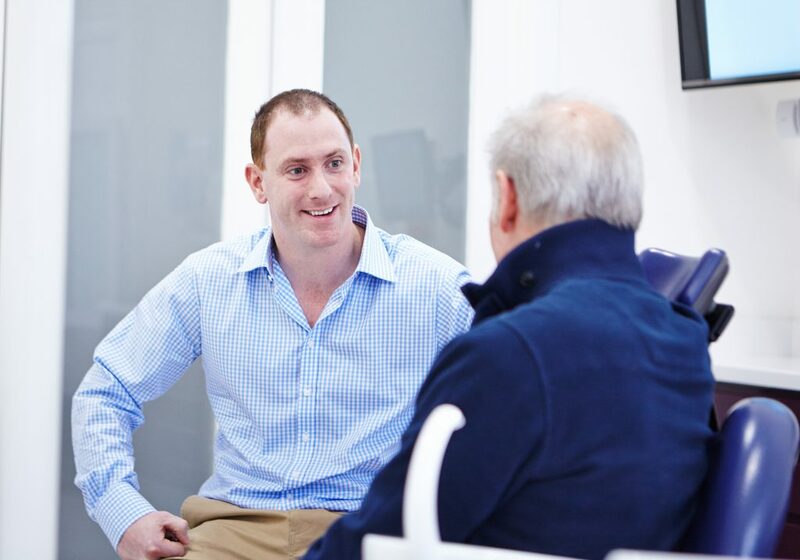 During your consultation, Dr Murnaghan and his treatment coordinator will review your medical and dental histories, take X-rays and create impressions of your teeth and gums so that models can be made. In some cases a computed tomography (CT) scan of your mouth will need to be completed. We have have a new CBCT scanner at Boyne Dental so you will not need to be referred out for this. This scan will show where your sinuses (located above your upper teeth) and nerves are. It will allow Dr Murnaghan to ensure they will not be affected by the implant placement. A CT scan also may be done to see how much bone is available and to determine the best locations for the implants. If you are not already wearing a complete denture to replace your missing teeth, one will be made for you. You will use this temporary denture until the implant-supported denture is placed. 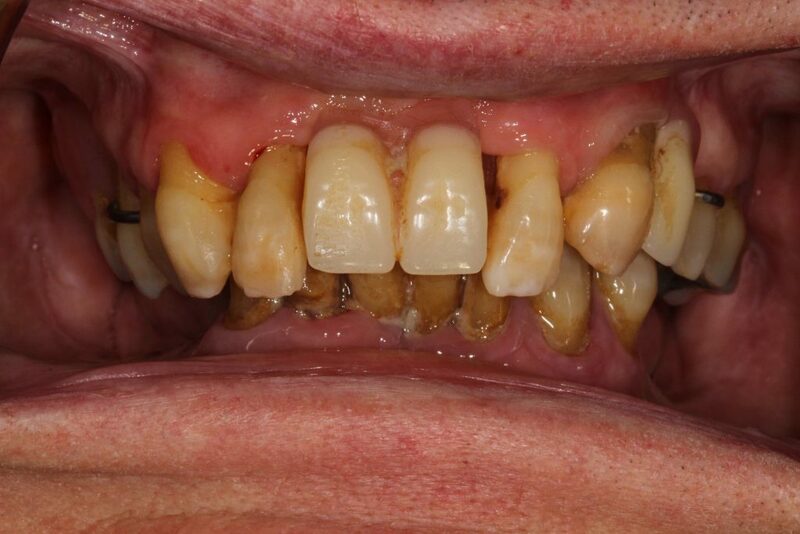 It will take about four visits, spanning several weeks, to complete this denture. By making this temporary denture, your dentist is able to determine the best position for the teeth in the final denture. The implants usually are placed in the jawbone at the front of your mouth because there tends to be more bone in the front of the jaw than in the back. This usually is true even if teeth have been missing for some time. Once you lose teeth, you begin to lose bone in the area. Also, the front jaw doesn’t have many nerves or other structures that could interfere with the placement of implants. A one-stage procedure is now sometimes possible. In this procedure, Dr Murnaghan the implants and the supporting bar in one step. The success rate of this procedure is high. This option will be discussed at your consultation if Dr Murnaghan feels that you are suitable. There will then be a healing period – three or four months if implants were placed in the lower jaw, and five or six months if they were placed in the upper jaw, before scheduling the second surgery. During this time, the bone and the implants integrate (attach and fuse). Once the implants have become fused with the bone, the second surgery can be scheduled. 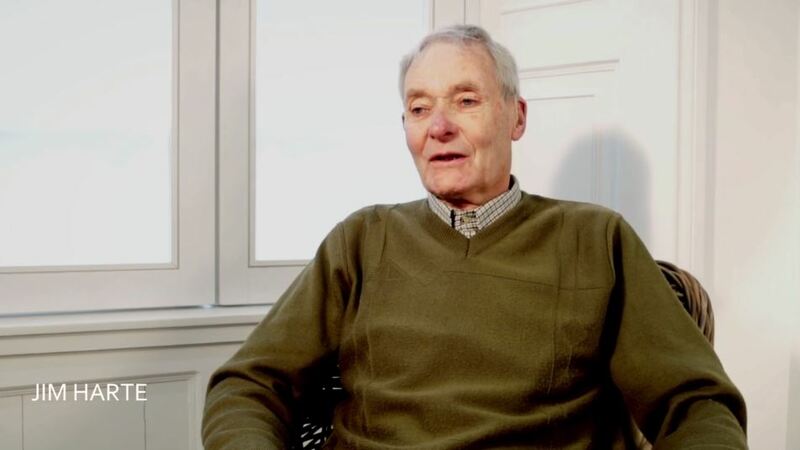 Dr Murnaghan and his team will confirm whether the implant is ready for the second surgery by taking an X-ray. This surgery is simpler than the first. A small incision is made in your gum to expose the tops (heads) of the implants. A healing cap (collar) is placed on the head of each implant after it is exposed. This guides the gum tissue to heal correctly. The collar is a round piece of metal that holds the gums away from the head of the implant. The collar will be in place for 10 to 14 days. If necessary your temporary denture will be adjusted again and it may be given another soft reline. The reline material will secure the denture to the healing abutments. About two weeks after the second surgery, the healing caps will be replaced with regular abutments. Your gums should now be healed enough for impressions of your gum tissue and abutments to be taken. The impression is used to make a working model of your abutments and jaw. This model is used to make the denture framework and teeth. You will need to remove the denture at night and for cleaning. You also should carefully clean around the attachments. Your dentist will test all the parts of your new denture to see if they are secure. Even though your denture is stable, it still can move slightly when you chew. This slight movement can cause the denture to rub against your gums, which can cause sore spots. On each visit we will check the way your top and bottom teeth come together (your bite) after insertion of the denture. An X-ray will show the implants in the jaw and any attachments to them. These will help to ensure that the implants, abutments and attachments are in the right places. Your implant-supported denture will be more stable than a regular denture. You will find it easier to speak and you won’t have to worry about the denture becoming loose or falling out of your mouth. You generally will be able to eat foods you could not eat before. However, you will not be able to chew hard or sticky foods because they can damage the denture. If you have an implant-supported denture in your upper jaw, it can be made to cover less of your palate (roof of your mouth) than a regular denture. That’s because the implants are holding it in place instead of the suction created between the full denture and your palate. Don’t let dentures dry out – place them in a denture cleanser soaking solution or in plain water when you’re not wearing them. Never use hot water, which can cause dentures to warp. Consult your dentist – see your dentist if dentures break, chip, crack or become loose. Don’t be tempted to adjust them yourself — this can damage them beyond repair.